ZABUL, Jan. 29, 2015 - A destroyed bus is transferred after it collided with a truck in Zabul province in southern Afghanistan on Jan. 29, 2015. 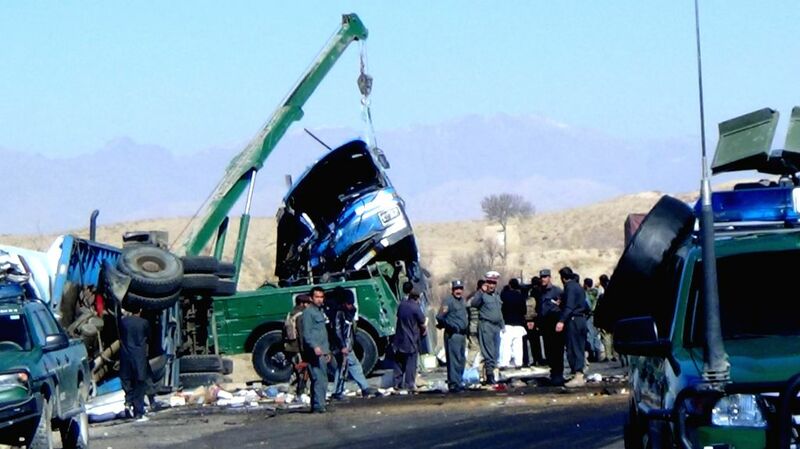 At least 21 people were killed and more than 30 others wounded after a bus collided with a truck in southern Afghan province of Zabul on Thursday, police said. 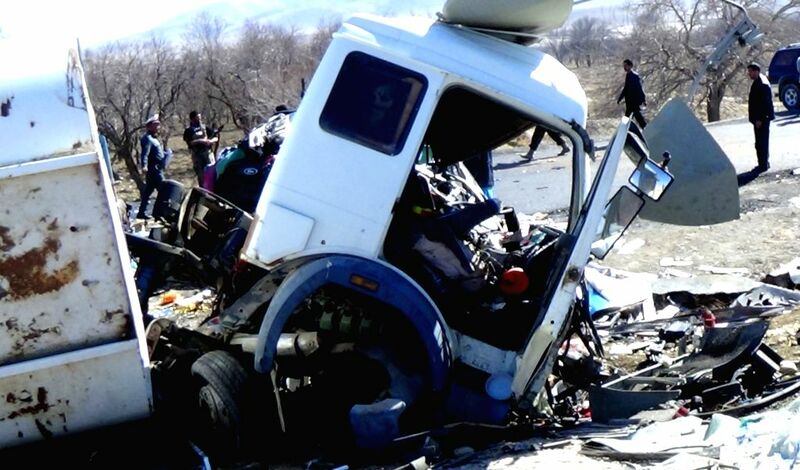 The traffic accident site is seen in Zabul province in southern Afghanistan on Jan. 29, 2015.